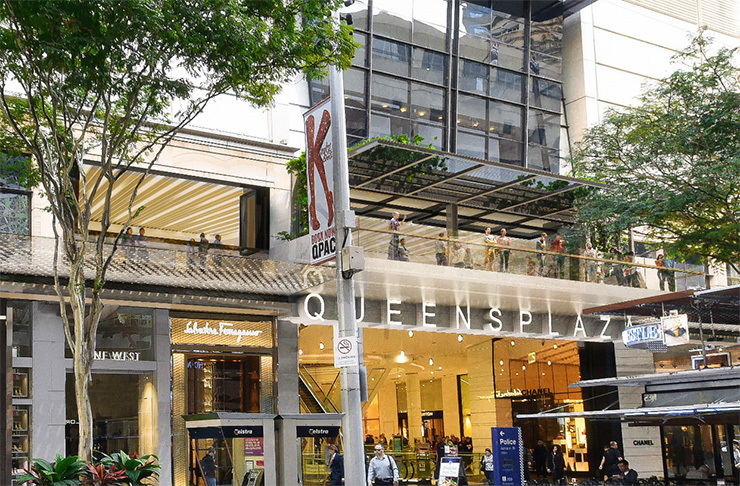 QueensPlaza is a Brisbane shopping institution, plain and simple. It’s long been home to Brisbane’s fanciest boutiques—Chanel, Louis Vuitton, Tiffany & Co, David Jones and more—but, to our great pleasure, we’ve just discovered it's in the throes of a $36 million renovation. With Australian label Aje having recently opened, the fashion frenzy is set to continue with more store openings including Scanlan Theodore, Sass & Bide and Alice McCall, plus plenty to be announced (watch this space). The centre now houses iconic Adelaide Street shop front Gorman, in a stand-alone store, with Zimmerman soon to follow. Sorry savings, but it was nice knowing you. And finally —drum roll please— Dior will be opening in time for Christmas. We repeat, Dior. Once complete, the new look CBD icon will be serving up curated fashion, beauty and accessories as well as a delicious dining and cocktail offering. We can already picture ourselves, drowning in shopping bags (and serious credit card debt) with a cosmopolitan in hand. Did someone say treat yourself?! Because we’re taking this as a sign to drop serious coin on yours truly. Editor’s note: this article was produced in partnership with QueensPlaza. Thank you for supporting the partners that make The Urban List possible. To read our editorial policy, click here.